Essence of wisdom, page two. Doing the right thing has power. Thus wrote Laura Leggett Linney. Maybe Laura doesn’t fit into the same folder as Confucius (she’s well and truly alive for one thing) but the quote was perfect, hence the connection. Yesterday, I offered an overview of the human brain. Today I want to expand on the idea of “how we jumble up how we act with what is best for us” as was put in yesterday’s introduction. To illustrate the challenge of converting these fine concepts into the grind of daily life, I’m going to use a recent essay published by Ian Welsh. Ian is a frustrated author who writes about his experiences in completing a book on Prosperity. It struck me as a fabulous insight into the vagaries of homo sapiens and one that lent itself beautifully to what I am trying to convey today. 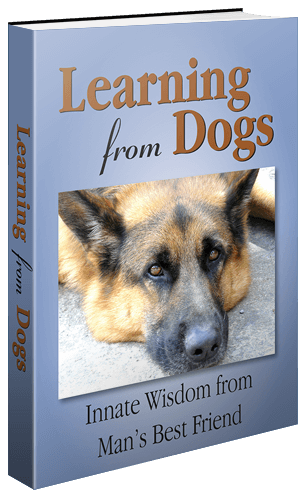 Ian very promptly gave me written permission to republish his essay on Learning from Dogs. So what I am going to do is to add my own thoughts to Ian’s essay in a way that hopefully supports the proposition that we are far from being logical creatures. For the past year I’ve been writing a book on prosperity, by which I mean widespread affluence. It’s been slow going, not because I don’t believe I know the general technical requirements of prosperity (I do, if I didn’t, I shouldn’t be wasting anyone’s time, including mine, writing the book), but because the real problem isn’t the technical details like eliminating bottlenecks, or redistributing income, or setting up positive feedback loops, or avoiding fraud, or stopping financialization, or any of the dozens of other subjects I either visit at chapter length or touch on briefly. The problem as with, say, stopping smoking, isn’t so much what to do, it is how it comes that we do it. When do we make the decision we’re willing to do what it takes, sufferer the negative consequences of getting to a better place, and then push ourselves through those consequences? Let’s dally with that phrase, “isn’t so much what to do, it is how it comes that we do it.” On the 1st January, I published an article called Why? It included a film by Simon Sinek looking at the Why, How, and What of human decision-making. The film supports the thesis that those who succeed act, think and do things differently; the crucial point being that spending time on understanding why you do what you do is very revealing. You can see the resonance between Simon Sinek and Ian Welsh, can’t you? If we better understand ‘why’ we want to do something, we can better think 0f what is the best way of achieving that. This is a huge problem in individuals, as the weight loss, addiction, psychology, psychiatry and self-help industries attest. There is, generally, more money in not solving a problem, as drug makers with their palliatives understand, than in solving it. The people who have power and money and influence in the status quo are not sure that in a new world, with a new economy, and the new ethics which must undergird that new economy, they will be on top. They are right to believe so. They are creatures of the current world, and in being created, have created the world they are unsteady masters of. Their ethics and morals, their way of business, of living, of apportioning power and influence and money must go if there is to be widespread affluence. Their methods have been tried for 40 odd years now, and if measured against the human weal, have failed. They will not, they cannot adapt, not as a group. They were not selected for the skills it takes to create a new type of affluent society, they have not even been able to maintain the mass affluence of the old society, and not just because they have not wanted to. They would be a different elite, made up of different people with different ethics, talents and skills if they did want to. This paragraph is just laden with powerful ideas. First, the recognition that millions opt for the palliative rather than the cure. Second, that these same millions live in present times that are controlled undemocratically by plutocrats. Thirdly, changing to a new, better order is not going to come easily. Ergo, for the last few decades there has been a massive failure of wisdom. Applying that failure to millions does not, of course, avoid the charge that each of us, individual by individual, each in our own tiny manner, has contributed to that failure of wisdom. Ian amplifies this idea, as you will see by reading on. Ordinary people also have the wrong ethics, the wrong morality. Much is written about why consumerism is bad, but the ultimate problem of consumerism is not how it makes us feel but that the consumer passively chooses from a menu created by others, not to fill the consumer’s real needs, but to benefit those who created the menu. Such a passive people cannot understand that choosing choices without creating choices is not choice, it is the illusion of choice. So while my book has a lot of general principles of the sort which books on prosperity often have, such as about trade, and productivity and technological change, that isn’t the most important part. The part that matters isn’t about the technical requirements of prosperity, it’s about why and when people do what is required to achieve prosperity, and when they don’t. And when, having obtained it, they throw it away. “Such a passive people cannot understand that choosing choices without creating choices is not choice, it is the illusion of choice.” Pick the bones out of that! On we go. Going to let you read Ian’s closing four paragraphs as one piece. Our society is ours. A tautology, but one we forget too often. As individuals we often feel powerless, as a mass, we have created our own society. There are real constraints, physical constraints on what society we can have, based on the resources we have, the technology we have mastered and what we understand about ourselves and our world, but those constraints are not, right now, so tight as to preclude widespread affluence, to preclude prosperity. They are, however, tight enough to preclude continuing to do the same thing, led by the same sorts of people, and expect anything but decline, repeated disasters and eventual catastrophe. We can be affluent and prosperous, we can spread that affluence and prosperity to those who do not have it now, but we cannot do it if we insist on keeping the current forms of our economy, including our current forms of consumption. This does not mean doing with less, it means doing with different things, valuing different things. Those new values will be better for us, objectively, they will make us both happier and healthier, just as most addicts are happier once they’ve broken their addiction, or rather once they’ve gone through withdrawal and rebuilt their lives. We can choose not to do so. We have, in certain respects, already chosen not to do so, as with our refusal to do anything about climate change until it is too late (the two problems are combined, climate change is a subset of the political and economic problems we have). We can, also, choose to make the necessary changes, not only to avoid the worst catastrophes (disasters are now inevitable, there are consequences to failure, stupidity and greed), but to create an actual, better, world, a world in which the vast majority are healthier, happier and doing work they care about. The monster facing us, as usual, is us. The monsters are always us, our brothers and sisters, and the one in the mirror. And it is those monsters I’ve been wrestling this past year. Reflect on those three points that I made earlier: how we don’t put the cure as the top priority, how we are dominated by the greed and power of the relatively few, how difficult changing our present society would be. Not a pretty picture! Simon O. Sinek (born October 9, 1973) is an author best known for popularizing a concept of The Golden Circle. He joined the RAND Corporation in 2010 as an adjunct staff member, where he advises on matters of military innovation and planning. His first TEDx Talk on “How Great Leaders Inspire Action” is the 7th most viewed video on TED.com. His 2009 book on the same subject, Start With Why: How Great Leaders Inspire Everyone to Take Action (2009) delves into what he says is a naturally occurring pattern, grounded in the biology of human decision-making, that explains why we are inspired by some people, leaders, messages and organizations over others. He has commented for The New York Times, Wall Street Journal, The Washington Post, Houston Chronicle, FastCompany, CMO Magazine, NPR and BusinessWeek, and is a regular contributor to The Huffington Post, BrandWeek, IncBizNet. This new year that we are now in is going to require millions of us to think and do differently. As Einstein so famously quoted, “Insanity: doing the same thing over and over again and expecting different results“. More than ever before we need different results and that means thinking and doing differently.